It will be a very long time before our sun dies, but when it does, its ending will be quite spectacular. Scientists at the University of Manchester say in a new paper that in about 10 billion years, the sun will explode into a planetary nebula, which would spell the end of any life left here on Earth, assuming there is any. Scientists have always known that the sun would die in about that time frame, but what was unclear was exactly what the sun’s death might look like. But a team of international astronomers predict that it will explode into a huge ring of interstellar gas and dust called a plentary nebula, which is how 90 percent of stars end their lives. 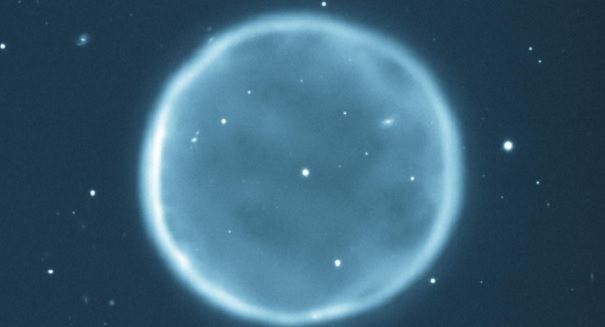 The reason why scientists could not assume the sun would end in the same way as most stars is that many thought it had too low of a mass to create a planetary nebula. So researchers used a new data model that predicts the life cycle of stars, and it found that the sun likely will end this way. At that point, the sun will transition from a red giant to a white dwarf.